Anyway, a few years ago they went to Los Angeles and recorded an album. The album (which is awesome) has been out for a while now but they’ve finally decided to do the right thing and release it as a free download or a $5 download or a $10 CD. You can download it for free or buy it here. This shouldn’t surprise you unless you’ve been living under a rock for the last few months. Radiohead launched their new album as a potentially free download a few months ago (Well, you could pay whatever you felt was fair)… critics said nobody would buy something they could get for free and the eventual sales numbers would reflect it. Well, the sales numbers reflected it… just not the way the critics had expected. Number 1 in the US and the UK. Tom Yorke even said they’d made more money from the digital (paid for) downloads of In Rainbows than all their other digital downloads to date. To understand what that means you need to know how many albums Radiohead has and how many million songs they’ve probably sold on places like iTunes… The difference is that unlike previous albums where the proceeds were divided up between Apple (iTunes), various record labels, publishers and distributors, oh, and that band called Radiohead — this time it was all theirs. What’s worth more: Having a million people listening to your music or money in the bank? 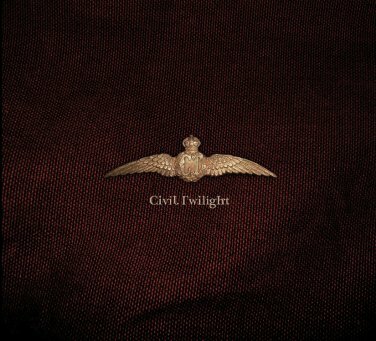 Luckily if you’re Radiohead you already have both… Let’s see if Civil Twilight can do a bit of both. I’ve been wanting to purchase Human, but can’t seem to download it anywhere to purchase. I have Letters from the Sky. Why can’t I have access to this beautiful song?